Veinwave / ThermaVein is an effective solution for treating small veins on the face, such as those troublesome areas on the nose and cheeks. Thermo-coagulation is based on a high frequency wave producing a thermal lesion with the protection of the skin. Equipped with a magnifying loop, a very fine needle is inserted into the vein and it disappears instantaneously. The single use sterile needle, is covered with an insulating sheath which protects the skin, enabling a targeted action. The sensation is similar to a warm pin prick, others relate it to a minor sting which doesn’t linger – often it depends upon the location of the treatment. What is Veinwave treatment for? This is an excellent method of treating facial thread veins and Rosacea. It uses a very fine needle that is inserted several times along the vein and a small microwave current is passed into the middle of the vein causing a reaction called thermo-coagulation (heat sealing), which causes the vein to instantly disappear. How long will a Veinwave Treatment take? It depends on the size of the area being treated, but it doesn’t take long: usually less than 30 minutes. It’s important to know that I’ll never rush your treatment and I’ll take care of you every step of the way. The procedure is safe for all skin types. Since the treatment is delivered by a probe there is no damage to surrounding tissue, and minimal risk of scaring, change of pigmentation or bruising. There is minimal downtime and the area can be easily covered using a camouflage make-up. Is Veinwave Therapy right for me? Following a full medical history and consultation including pre-treatment photographs the actual procedure is relatively smooth. Unfortunately Veinwave / ThermaVein treatment would not be suitable due to its nature of microwave currents if you have a pacemaker fitted or if you suffer with epilepsy. The needle used in the treatment is made from Nickel and therefore people with an acute nickel allergy can’t have this treatment. Veinwave / ThermaVein can also not be carried out if fake tan has been applied to the skin in the last week. I will apply a topical local Anaesthetic cream to the area for at least 20 minutes prior to treatment. You may feel a mild stinging sensation as the treatment is carried out. I do have a great deal of skill and experience in carrying out this treatment. I’ll do it quickly, while making sure you feel comfortable at all times, so there’s no need to worry. Are there any side effects from Veinwave? Side effects are uncommon and minimal with Veinwave / ThermaVein treatment. Sometime tiny circular red marks that look a bit like bee stings appear, these form minute scabs which will disappear in 5 to 10 days. Veinwave / ThermaVein treatment is not suitable for people with a Nickel allergy, Pacemaker or epilepsy. How many Veinwave treatments will I need? For the majority of people they do require two treatment sessions, each one spaced 4 weeks apart. On some occasions you may need more treatment sessions. I will thoroughly assess your condition at consultation and advise of the necessary treatment plan. When will I see a result from my Veinwave treatment? The spider veins disperse immediately, but due to the slight trauma to the superficial dermal layer this is not immediately obvious. Most people notice a difference after a few days, but it can take up to two weeks for the skin to settle down and repair. How long do the effects last post Veinwave treatment? The thread veins that have been treated are removed, however this treatment will not prevent new ones appearing. Good skin care and sun protection will help reduce additional ones developing, I can provide help and advice on appropriate products. How much does Veinwave treatment cost? 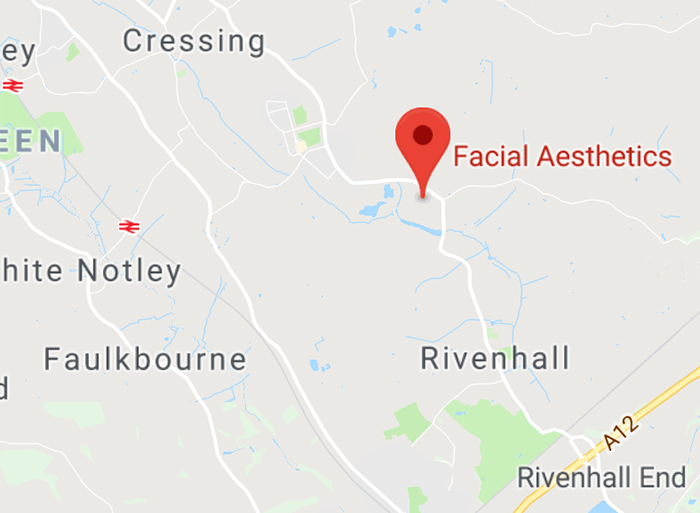 I’ll let you know the exact price during your consultation, but prices start at £300. We also provide a Free Review after 4 weeks. What do I need to do after having Veinwave therapy? You should apply a cooling gel to the skin, such as Aloe Vera gel until the skin cools down, then hydrate your skin with a moisturiser. You should avoid any exercise, saunas or extreme heat for 24 hours. You should also wear a sunscreen minimum factor 30 to help protect the skin. Can you Permanently Remove Thread Veins / Spider Veins? A course of Treatment using Veinwave / Thermavein will permanently remove the Thread veins, as it collapses the Vein wall, However new veins can appear in the future – But these too can be treated. We have been successfully treating Thread Veins and Spider Veins and we also provide a topical Skin Care regime to help prevent future flair-ups.